Dropcam is a simple and easy to use DVR/security system for your home which lets you effortlessly monitor what’s going on while you’re away. The Dropcam cameras connect seamlessly to a web interface, allowing you to view a live stream on your PC or smartphone (iPhone & Android are supported). Today we have the CEO of Dropcam, Greg Duffy, on The Startup Project. Dropcam is exceptionally unique in the world of startups – where did the idea come from? How did you design and develop the service? After seeing my dad’s frustrations while setting up IP cameras around our Texas home, I thought, “there has to be an easier way to do this.” Since it seemed like lots of people would want to keep an eye on things while they were away, I was surprised to find that there was not — you had a to be a tech wizard with a lot of spare time to get anything to work. So, I called up Aamir Virani, a skilled software engineer I knew from working at Xobni, and we quickly began developing a more consumer-friendly and approachable method for remote video monitoring. We wanted it to be extremely easy to set up, affordable and user-friendly, while not compromising video quality. Very early on, we pivoted as a company about three times helping us figure out exactly what our customers wanted. What we offer today is the product of the knowledge gained in this process: for instance, our cloud DVR service was the result of a pivot from live-only monitoring. Now, the DVR is really where our product benefits users the most, and we are continually improving it. We are unique in that we are one of just a few hardware/software/cloud combination startups. We’ve proven the concept to investors and closed a $6M Series A round in September. (Led by Accel Partners, plus angels Mitch Kapor, Bradley Horowitz etc). We wanted to be approachable for all types of consumers and keep in mind both their budget and what they may use our cameras for. A tiered subscription plan allows us to effectively reach several different types of users. In terms of the product cost, we wanted to provide every quality feature that our users would find useful while still making Dropcam an affordable and useful product. Security is naturally an area of focus for the company – how difficult is it for a small startup to ensure the safety of their customers from online attackers? What advice for fellow entrepreneurs can you offer in that regard? All video data transmitted through our website is encrypted with bank-level security. We make every effort to ensure no one can see your video. Dropcam lets you look in on what’s important to you and for most people, that’s personal; be it kids, pets, or a second home, so keeping that video private and secure has always been top of mind. In order to view a shared stream you must create an account with us – this is another layer of security we added in order to keep your video yours. Many tech start-ups whose product is the users (Facebook, for example) provide a software product for free and depend on user data for ad revenue, so they have a different relationship with customers’ privacy. 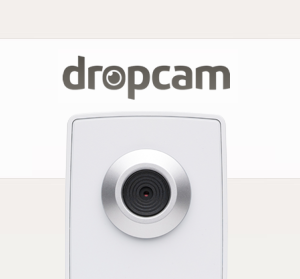 Ensuring private and secure video storage has been a core value of Dropcam from the beginning. You have to emphasize security from the start and stay vigilant. Our goal is to keep improving and protecting, and that’s how we think startups should approach security. How do you approach marketing such a niche product? What are your thoughts on the use of advertising for such a product? Word of mouth is important for us. Our happy customers are our greatest ambassadors. We also have a PR agency that we rely on for media and brand exposure. As we are still in the startup phase we have yet to engage an advertising agency. If you could change one decision which you have made as an entrepreneur, what would it be? In the early stages of Dropcam, we spent a lot of time in partnership discussions – ranging from other startups to large corporations. In the end we determined this wasn’t the best use of our time. A common move of a company that doesn’t know what it is doing is to partner with a bigger company. If I could do it again, I would spend 100% of my time hiring great people and building the product and no time on partnerships in the early stages of a startup company.